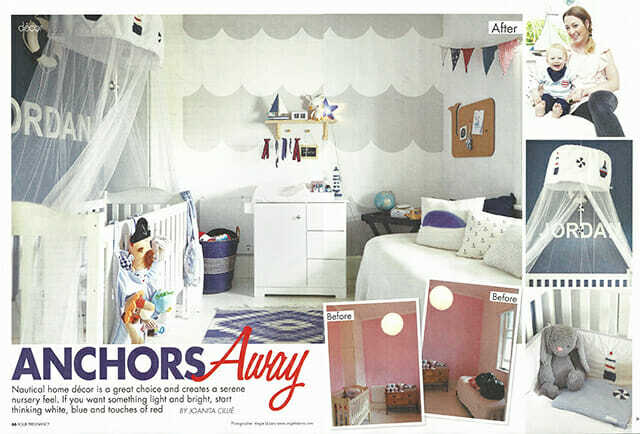 We are SO thrilled for our blogging bestie, Nikki from Nikki + Nicholas for her beautiful feature of Jordan’s room in the December/January 2015 issue of Your Pregnancy magazine. 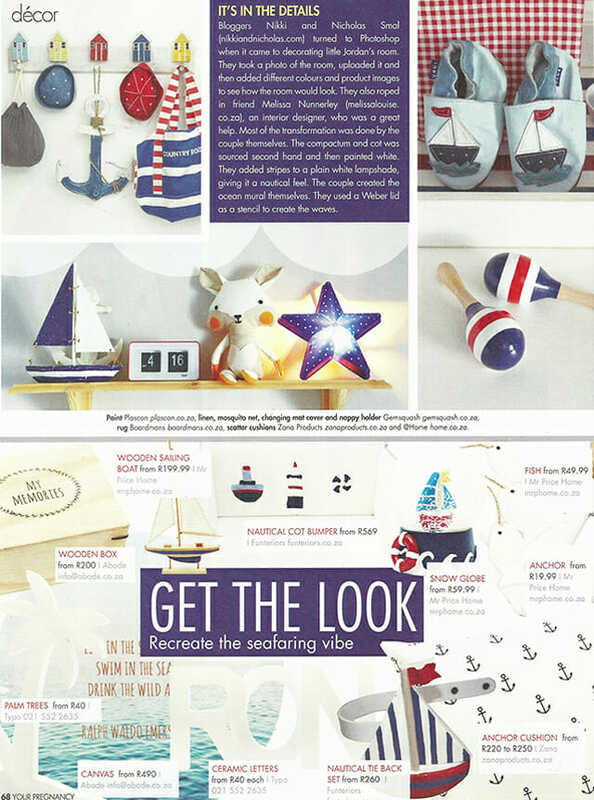 Our anchor scatter cushion was also spotted in the mix! Yay!